Another Tuesday and another card for the Everybody Art Challenge Blog. This week the theme is Spring. To make my easel card I have used the excellent sketch from Friday Sketchers and one of my new Magnolia stamps from the Spring Stamp Club. Dies - Spellbinder Circles, Nellie Snellen borders and flower die. The Nellie Snellen dies I picked up at the Make It craft weekend at Farnborough. These dies are definitely the way forward for me, not only are they reasonably priced at £8, they store easier than the Martha Stewart punches. This was the first craft show I have enjoyed for a long time. Usually they are so busy that its very difficult to see things and I get fed up with crowds very quickly. I got to Farnborough just after lunch and it was bliss! Oh wow Jenny this is utterly stunning! Love your beautiful colouring and wonderful design and details! die Karte ist traumhaft schön!! Sooo tolle Papiere und erst das herrliche Motiv! Ganz ganz wunderbar; ich bin total begeistert! Jenny, this is so adorable - it shouts SPRING! Love the distressing around the edges. Thanks for joining us at the Corrosive Challenge! Oh Absolutely gorgeous, Jenny! Perfect for spring!! !Tilda is a doll and your coloruing is sooooo beautiful! Love those gorgeous flowers too and the beautiful floral paper! Thanks so much for joining us at MDUC! Oh what a gorgeous card Jenny, such a beautiful image and details. oh Jenny this is very very BEAUTIUFL!!!! Thank you so much for joining us at MDUC! 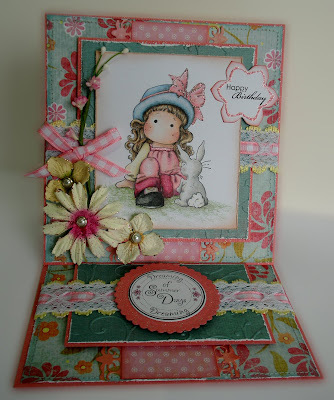 such a beautiful spring birthday card with cutie miss tilda and so many pretty embellishments. 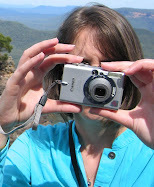 thanks for stopping by my blog and leaving me a lovely comment. so sweet card jenny !! I love it ! !